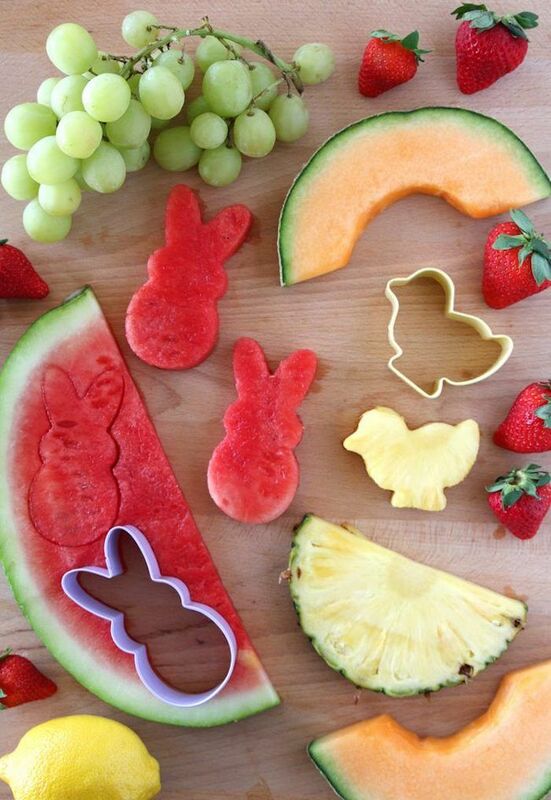 7 super cute and very easy Easter treats your kids can make themselves. 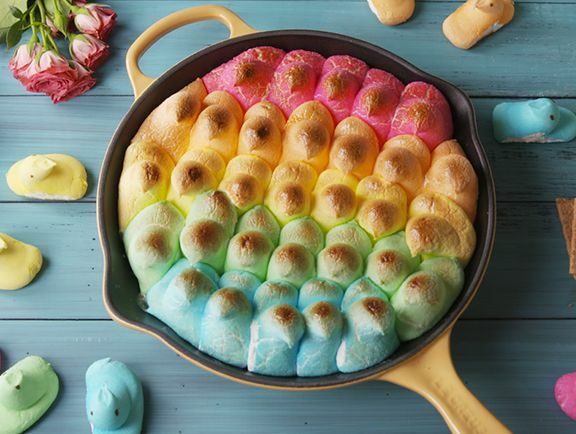 My kids get into the Easter spirit by cooking, because sweets, of course. These seven super cute and easy Easter treats are ones that they can make themselves with minimal oversight while I roll out biscuits or work on the glaze for our Easter ham — which is how I get into the Easter spirit. Full disclosure: My 11-, 9-, and 7-year-old kids have been cooking with me since they were toddlers, so they’re able to follow a recipe on their own. If your kids are younger or less experienced, a little more supervision may be in order. But hopefully not much. Related: Bunny bagels and even more easy Easter treats to make with your kids. No matter what your child’s cooking skill level, they can help make the delicious Lemon Fruit Dip at Living Locurto. Give younger kids fruit and cookie cutters to help make the dippers and let the older ones help mix up the three-ingredient recipe, which is also yummy sandwiched between cookies or dolloped on pancakes. Just saying. 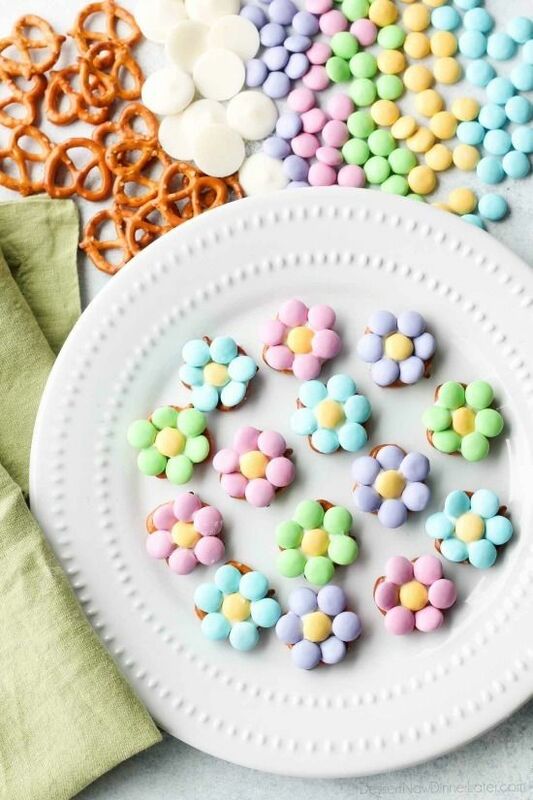 These Flower Pretzel Bites at Dessert Now Dinner Later are another super simple three-ingredient recipe that your kids can make alone, as long as you trust them with a microwave and hot melted chocolate. These can be used to decorate a cake or cupcakes, or to just eat plain… because, mmm, chocolate covered pretzels. No-bake cookies are a great way to safely get little kids in the kitchen. They get all of the practice of mixing (and maybe even measuring — yay for kitchen math!) without having to be near a hot oven. 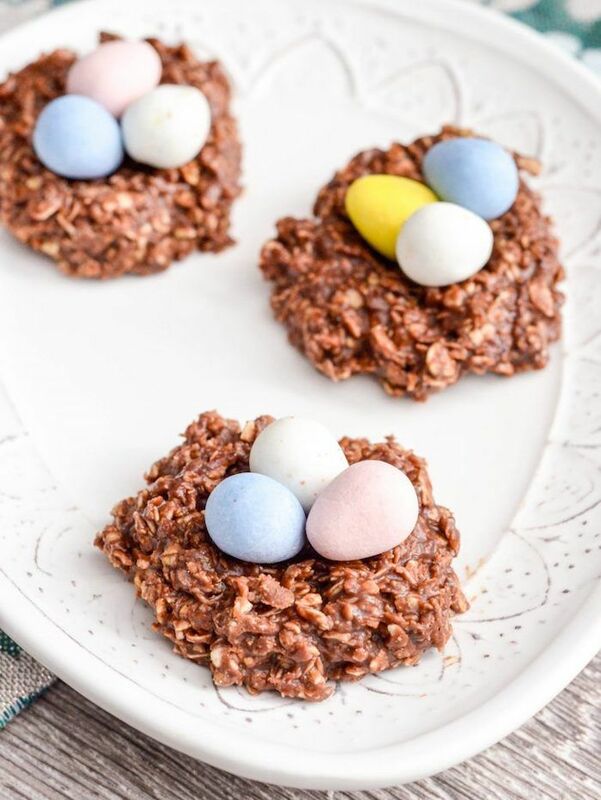 Even if you have to help a bit, your kids will especially love shaping these No-Bake Cookie Nests at Joy Food Sunshine and placing those eggs on top. Related: 9 fantastically beautiful Easter cake recipes. Amazing! 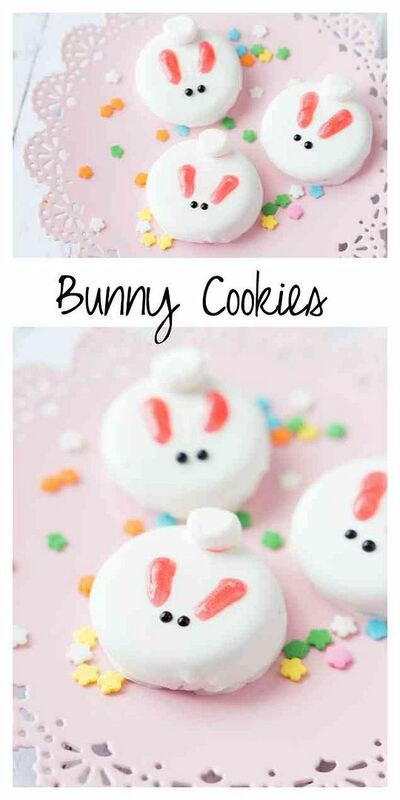 If you’d rather just decorate store-bought cookies, these Bunny Cookies at Made to be a Momma are so adorable. Making these is simple business and if your little one is too young to draw these simple bunny features, then they are young enough that any doodles will do! OMG! 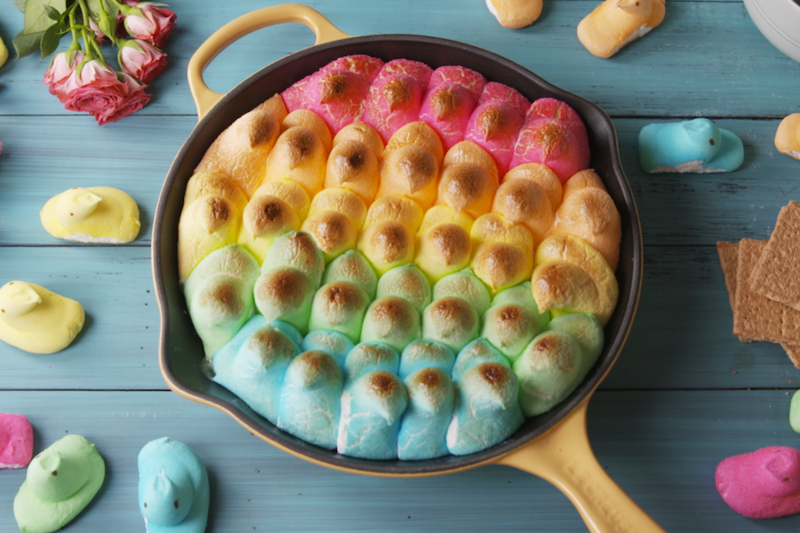 The Peeps Skillet S’mores at Delish (above & top) are the coolest way ever to use up those Peeps, which, honestly, are not my favorite on their own. But this looks amazing. My kids would need a little help pulling this out of the oven, but that’s about it. Well, except maybe eating it. They’ll definitely need my help with that. According to Pinterest, Puppy Chow is now an every-holiday snack food, and well, I won’t complain. I couldn’t quite resist this pretty pastel Bunny Chow recipe at Suburban Simplicity. This stuff is addictively good. 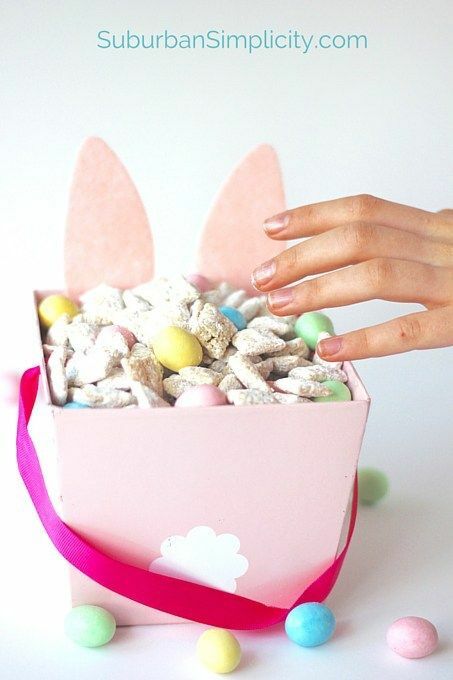 Related: Leftover Easter candy recipes (that might be better than Easter candy on its own). 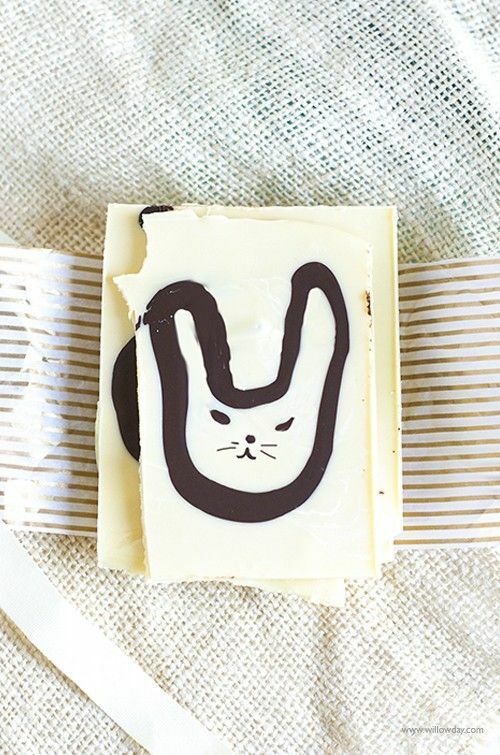 This White Chocolate Bunny Bark at Willowday is so cool, and I love that Gina offers three different suggestions for how to paint the bunny onto the white chocolate. Your kids will love making their own bunnies — or scribbles (all good!) — and these can even make sweet Easter gifts for teachers or relatives. 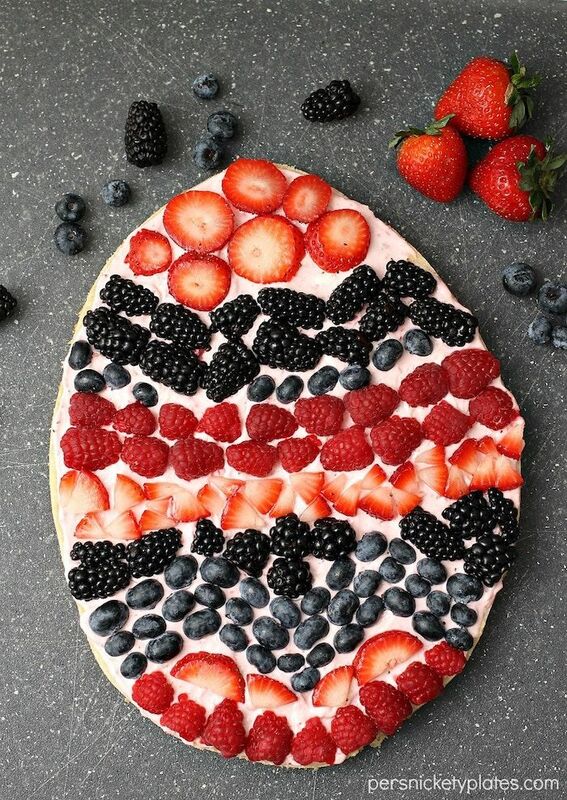 I’m planning to make the big sugar cookie crust for this Fruit Pizza at Persnickety Plates ahead of time, then let my kids decorate it with the fruit. Or maybe we’ll make a bunch of oversized individual cookies and let everyone decorate their own. Because sometimes teamwork doesn’t make the dream work. You hear me, mamas?